Ginseng is an ancient herb, which offers remedies for many diseases. It is also known as the king of all herbs. It protects our body and also helps our body fight innumerable diseases. Ginseng is an adaptogen, which is capable of protecting the body from stress, both physical and mental. Ginseng tea has an earthy, slightly bitter taste. It is most consumed with honey and/or milk. It may taste very bitter to some people—it is definitely an acquired taste! Ginseng tea is undoubtedly good for health, but one must be cautious while using ginseng as it can cause a few unpleasant side effects, especially if consumed in high doses or for a prolonged period. 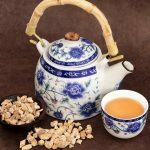 Consuming Ginseng tea for a prolonged period and in large amounts is associated with increased or low blood pressure level. Though it is a remedy for blood pressure, it may cause adverse effects on the body. It also causes irregular and faster heartbeats. 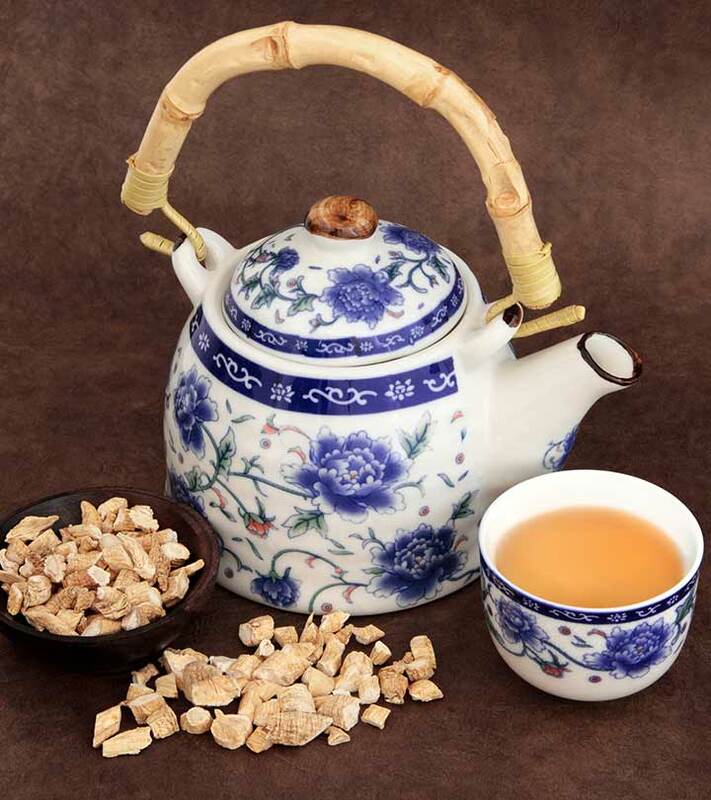 People under medication for blood pressure should avoid taking ginseng tea. Korean ginseng tea can stimulate estrogen-like effects in the body. It impacts the hormonal functionalities of the body, causing abnormalities. Though very few cases have been reported, it is also known to cause postmenopausal vaginal bleeding, menstrual irregularities and breast tenderness in females. This too can be lethal in some cases. Platelets in the blood stop excessive bleeding. They also clot the blood in case of any internal or external injury. Ginseng tea consumption can interfere with the functioning of these blood platelets and their efficiency, causing increased blood clots. Blood clots may also turn into tumors or become cancerous, which can be fatal if not treated on time. Ginseng tea, though said to be a good cure for Type 2 diabetes, can lead to abnormally low blood sugar levels, causing hypoglycemia in many people. Low blood sugar decreases the energy levels in the body and makes the person feel low and lethargic. The combination of diabetic medicines and ginseng tea may cause the blood sugar levels to decrease abnormally, which may turn out to be dangerous. This herbal tea can also be a cause for stomach discomfort, nausea, and diarrhea. These gastrointestinal conditions are most common amongst those who drink it for the first time. In most people, these symptoms disappear gradually once their body gets adjusted to the safe amounts of this tea. Some people who consume Ginseng tea on a regular basis may complain about nervousness, loss of concentration, restlessness, excitability, and anxiety. Ginseng consumption stimulates the brain cells, and these symptoms occur because of over stimulation of the brain cells. These symptoms get aggravated when it is taken along with coffee and other caffeinated drinks. Some people experience headaches and dizziness on consumption of this tea as ginseng may cause neurological effects. It also causes depression, confusion and manic episodes in some people. It is prudent not to have ginseng tea while on certain antidepressant medications, as these may also lead to manic episodes. Doctors advise not to consume ginseng during pregnancy or while breastfeeding since there is a possibility of adverse effects on the fetus and newborns. The ill effects of the tea may cause problems in the formation of the fetus and cause abnormalities. New mothers should also be cautious and avoid taking ginseng tea during the lactation period so that it doesn’t affect the newborns. High doses of ginseng can cause inflammation of blood vessels in the brain, which may result in strokes, fever, headaches, etc. High doses of ginseng can affect neurotransmitters in the body. Neurotransmitters are chemicals that carry messages from the nerve cells to other cells. Usage of ginseng with antipsychotic drugs can alter the levels of neurotransmitters in people with schizophrenia or other mental disorder. Other reported ill effects of this tea are allergic reactions, swelling of tongue, throat and face, mild skin rashes, difficulty in breathing, tightness in the chest area, dizziness, asthma, palpitations, etc. These are some of the possible side effects of ginseng tea. If you notice any of these effects after the consumption of ginseng tea, then consult a doctor. This is mandatory for those who are under medication and are currently taking over-the-counter or prescription drugs. A word of caution regarding the use of herbal tea for health benefits is to seek advice from a trusted doctor or herbalist, as each individual’s body may react differently to the herb. Staying healthy is no mean feat. Using herbs to give our health a boost is a good idea. But, it is important to be aware of all the ginseng tea benefits and side effects before you consume it. Do you consume ginseng tea regularly? Have you ever noticed any ginseng tea side effects? Do share your experiences with us in the comments section below.